This is high power amplifier circuit with Class-D system fullbridge which has a power output up to 2000W RMS with the voltage about 90VDC Symmetrical Power Supply (Recomended using Switching Mode Power Supply). Audio Class D amplifier is basically a switching-amplifier or Pulse Width Modulation-Amplifier. A class D audio amplifier has 90% efficiency when the speaker is loaded. While theoretically the Class D audio amplifier has an ideal efficiency of 100%. 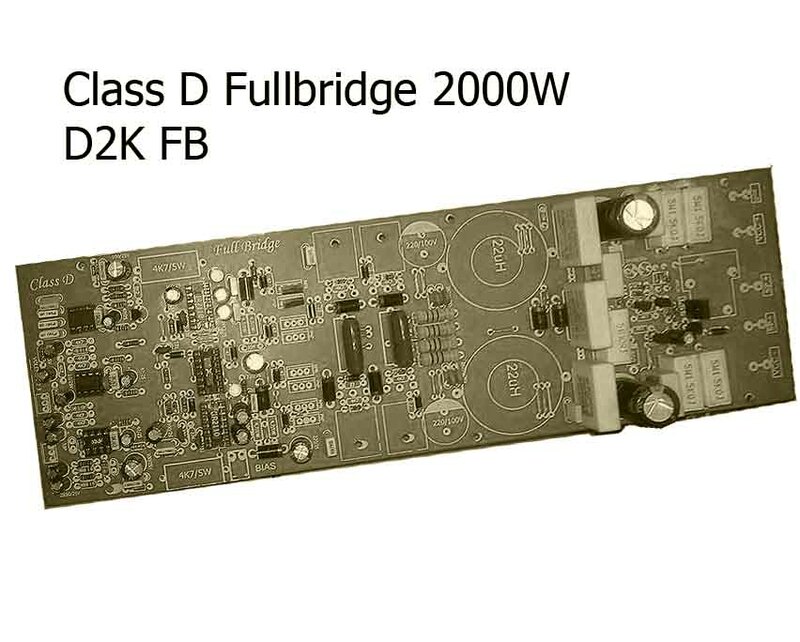 This Class-D Fullbridge Power Amplifier schematic is originally designed by Mr.Kartino Surodipo. 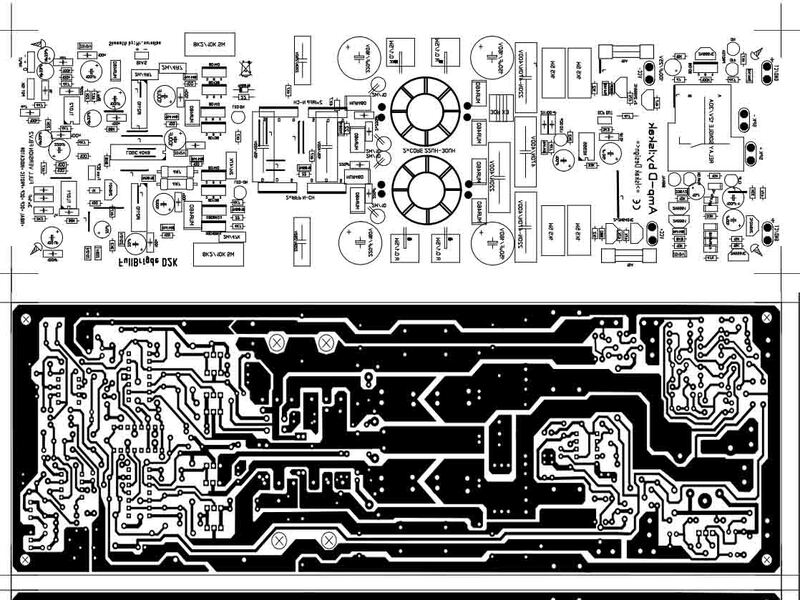 Below the schematic circuit design and PCB Layout Power Amplifier, if you want the PDF file you can download at the links on attachment. Can you tell who is make the clas d amp design? you can see at the link Mr.Kartino Surodipo facebook. He is creator and design it. If you want to get more info u can tell with him. yes its tested and works properly for class d amplifier. Yes! 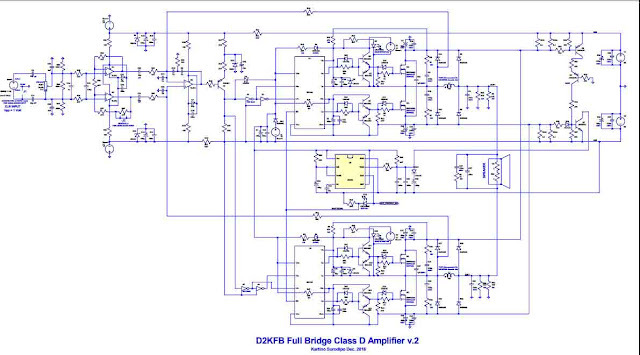 Class D audio amplifier has 90% efficiency when the speaker is loaded. its hard to find it one by one from the pdf you uploaded. Okay sir i will contact my friend as post writer to update the part list, thanks for your suggestion. Hope you enjoy in my site! Help me. What is plugged into the bias connector? You must plug a 12 v regulated supply. 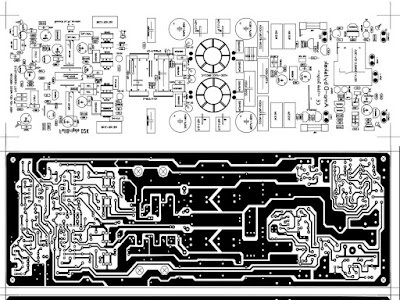 I tested this version of pcb...and wont start. Sometimes start only one side of amplifier. Can tell me if someone already tested this version and work? what the voltage of your power supply bias? Hi, can i get less power using a lower voltage? tanks, it looks so good bro!! can u tell me the bugs? yes you can get a lower voltage but less output power. Hi. It's 2000w rms @ 4 ohms? Works with 2 ohms? How the output power in 2r? 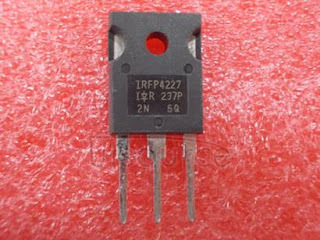 it more hot on transistor 2 ohm, i suggested you dont use 2 ohm as long play it. Bad circuit not working. Is wasthere of funds. 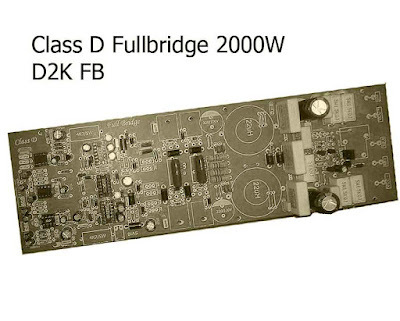 Can anyone explain what are all the benefits for D2K Fullbridge.